WWAM of the Month: Brandy | WWAM Bam! Our WWAM of the month is Brandy! 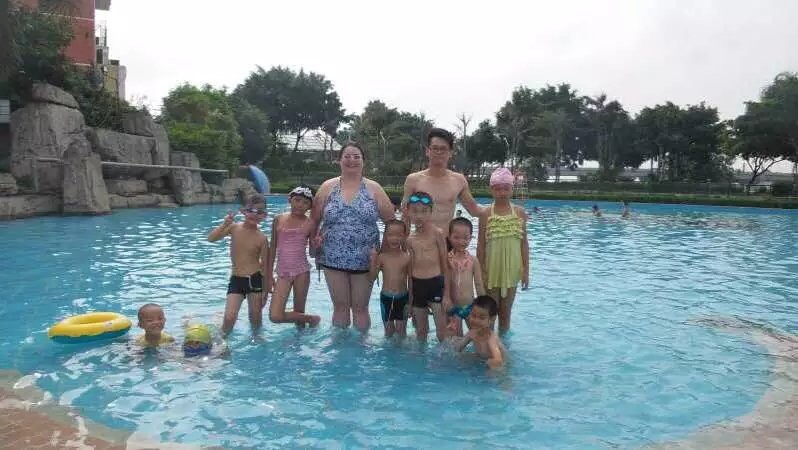 Hailing from America, she’s been living in China since 2006. She’s a teacher turned entrepreneur who also balances life as a Chinese daughter-in-law. Brandy also enjoys singing and voice acting, card and board games, writing, and hanging out with her cat who thinks its a dog. I was working in a dead end job trying to make ends meet while paying back college loans. I had to have a roommate because the side of town where I worked was too expensive. 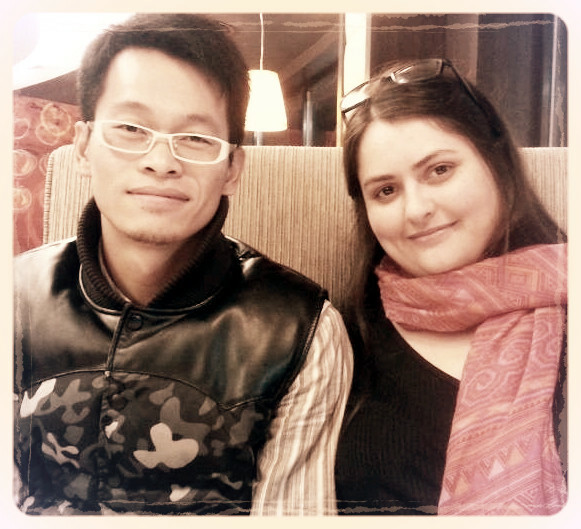 One day roommate says, hey I’m moving to China to teach, wanna go? After little to no consideration I thought, what have I got to lose? It might look good on my resume and maybe I’ll learn a little of the language, that’s got to be an asset, right? So I put in my notice, told all my friends, freecycled everything in my house and hopped on a plane. I had always dreamt of traveling but wasn’t experienced enough for Americorp or other programs. Never imagined it would turn out like it did. 2. You are a passionate teacher. How do you find education in China compared to the US? 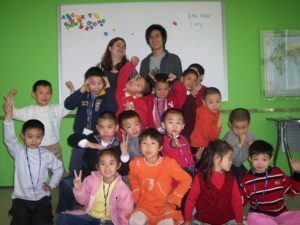 In what ways do you modify your classes to better reach your Chinese students? I left the States before I had a lot of experience so I don’t think I can make a fair comparison. But what I do to reach my Chinese students is simple. I teach young students. So learning the language helps me to connect with them on a personal basis. They can talk to me in Chinese so that helps them feel like we’re friends. During classes they still speak English because I’ve told them that’s what respect is. I learned your language and now you can learn mine so we can share and be friends in two languages! Also I find that knowing what they’re into and putting that into my classes instead of just following a boring text book really helps. So I like to stay abreast of the latest cartoon shows, movies, and popular toys and things like that. 3. You also have an online business selling educational books and toys. What are some of the joys and frustrations of being a foreign entrepreneur in China? Yeah, the online business. It’s got a funny history. 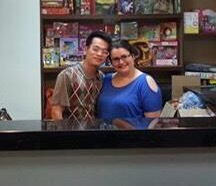 It was originally supposed to be a brick and mortar stationary/toy shop for local kids that my husband ran, but it didn’t work out like I planned, so I put it online. That’s when I realized instead of selling to parents, I actually knew a lot of teachers and they needed access to some of this kind of stuff. The joy comes from helping people get the tools they need to help someone learn. Every book or toy or resource I have is out there making some kid happy and hopefully helping them to learn! The frustrations come from dealing with Chinese customers…. The way they shop is very different from the way I sell. I work on going above and beyond for customers to increase loyalty. But I’ve actually had customers say “Oh, thanks for the suggestion, but I found it on Taobao for cheaper so I’m just going to buy it there.” So that’s a horrible feeling. Also when people ask for discounts because that’s their “culture” without even realizing some of the prices are barely above my cost. Also, finding suitable partners to grow the business with. That’s been a constant struggle. Ahhh, the husband, here comes the juicy bits people were waiting for. We actually have two stories about how we met. The “glossed” version for parents and strangers and the “actual” story. You’ll have to meet me in person for that one. But here’s the glossy version. Online dating app. He said it was his first time to try the app and he met me. I had pretty much given up on dating at the time, but his profile pic had a cat and when we talked he didn’t ask a million dumb questions like “Is that really your profile pic?”, “Can you teach me English?”, and such. He just, you know, flirted. It was refreshing. In the next ten years, hmmmm. This is a tough one. I can barely see myself in the next month. Something I’d like to tell people is I suffer from a few health problems. The biggest one being depression. It’s something I’ve left untreated for way too long. It’s something that people in China don’t quite understand, actually something I think many people all over the world don’t get. It’s not like just feeling sad, it’s really something that can drag you under. It’s like fighting to stay above the waves in an ocean of sadness. And it makes the future hard to see. I actually just have to focus on one step at a time. I bring this up so that anyone else who suffers can know that there is help out there. Having a loving and supporting husband and his family is really what helps me through it. Knowing that I want to have a happy future with this man and he’s willing to fight for me. So I don’t care where I am in the future as long as we’re still together. 6. What advice would you give to fellow WWAM couples? My suggestions for others? It”s just like any other relationship; constant work, loving compromises, honest communication. Heavy emphasis on the communication part. It’s always a work in progress for me, but remembering how lucky I was to travel halfway around the world and find someone willing to accept me for me, to work with the struggles of being me, and who I can help learn about himself and make a future together with, it makes all the bad days worth it.